While most people might have spent their Sunday evening watching the Grammy’s, the horrors of the Taiji dolphin killers once again wreaked havoc within the infamous cove. 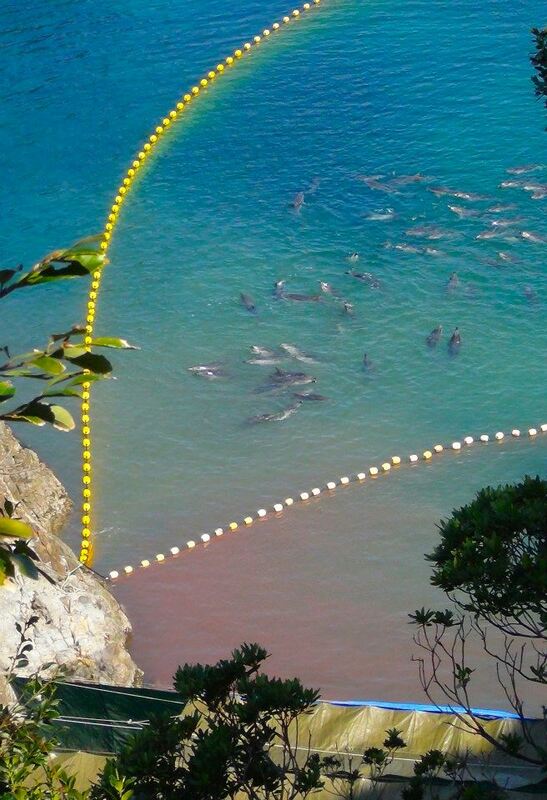 A pod of 100-110 striped dolphins was netted into the killing cove after being driven for over two hours. As you can see here, the family of striped dolphins was divided within the cove and then slaughtered one by one in front of each other. The killers hammer a metal rod into the blowhole, which paralyzes the dolphin but does not kill them. They then slowly die by lying on the shore suffocating or drowned by having their flukes tied with rope and then dragged by skiff to the Taiji butcher house. This is clearly a slow. painful and inhumane way to die. About 80-90 striped dolphins were slaughtered yesterday in the Taiji killing cove, while the remaining pod was forced to swim in their families blood and held for several hours before being driven back out to sea. Those pod members who did not suffer an unfortunate and inhumane death in the cove, will have a slim chance of survival now. 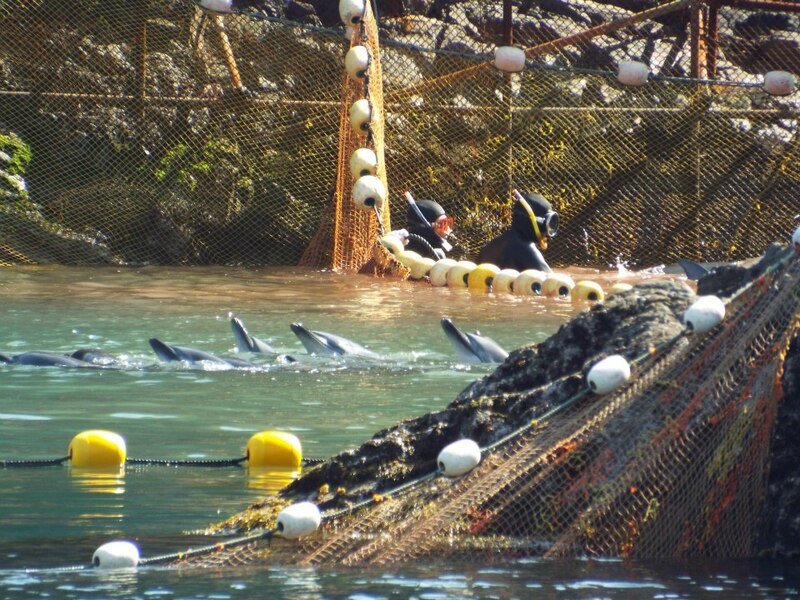 After the stress and exhaustion of the drive into the cove itself and having witnessed the majority of their podmates being slaughtered, the chances of survival for the remaining 20 striped dolphins is very little. This is just one day out of the hunt season and there are simply no words that come to mind to describe the horror these innocent beings went through today. 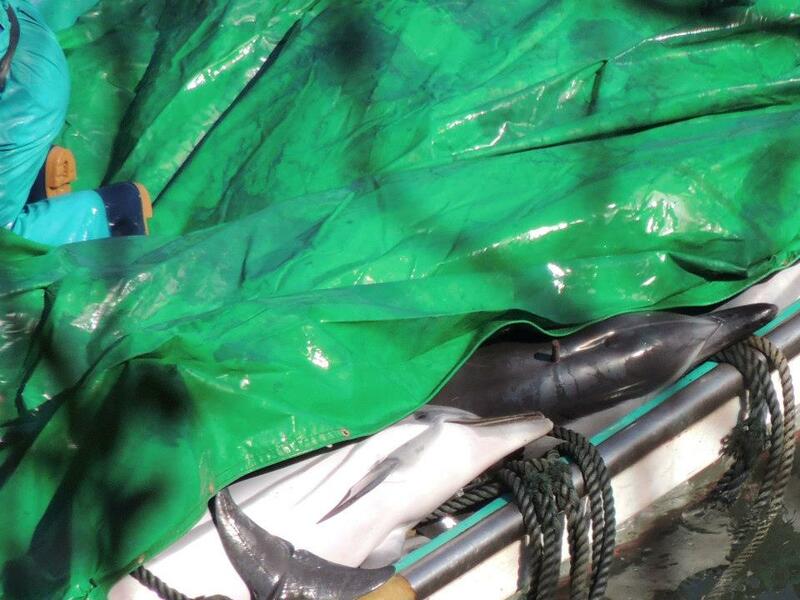 The cruelty and hatred shown by the killers to these beautiful dolphins is beyond anything that can be put into words. The fact is that this is the horror of Taiji and it is not about culture or tradition, it’s simply about profit and greed! I can only imagine what it is like to witness these atrocities and have the utmost respect and gratitude for the Cove Guardians currently on the front lines in Taiji!